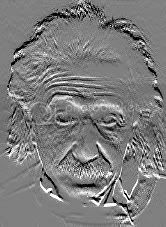 New modern Data Alters E=MC2 ? Chinese astronomer from the University of St Andrews has fine-tuned Einstein’s groundbreaking theory of gravity, creating a ‘simple’ theory which could solve a dark mystery that has baffled astrophysicists for three-quarters of a century. A new law for gravity, developed by Dr. Hong Sheng Zhao and his Belgian collaborator Dr. Benoit Famaey of the Free University of Brussels (ULB), aims to prove whether Einstein’s theory was in fact correct and whether the astronomical mystery of Dark Matter actually exists. Their research was published on February 10th in the Astrophysical Journal Letters. Their formula suggests that gravity drops less sharply with distance as in Einstein, and changes subtly from solar systems to galaxies and to the universe. Theories of the physics of gravity were first developed by Isaac Newton in 1687 and refined by Albert Einstein's general theory of relativity in 1905 to allow light bending. While it is the earliest-known force, gravity is still very much a mystery with theories still unconfirmed by astronomical observations in space. The ‘problem’ with the golden laws of Newton and Einstein is whilst they work very well on earth, they do not explain the motion of stars in galaxies and the bending of light accurately. In galaxies, stars rotate rapidly about a central point, held in orbit by the gravitational attraction of the matter in the galaxy. However astronomers found that they were moving too quickly to be held by their mutual gravity - so not enough gravity to hold the galaxies together – instead stars should be thrown off in all directions! The solution to this, proposed by Fritz Zwicky in 1933, was that there was unseen material in the galaxies, making up enough gravity to hold the galaxies together. As this material emits no light astronomers call it ‘Dark Matter’. It is thought to account for up to 90% of matter in the Universe. Not all scientists accept the Dark Matter theory however. A rival solution was proposed by Moti Milgrom in 1983 and backed up by Jacob Bekenstein in 2004. Instead of the existence of unseen material, Milgrom proposed that astronomer’s understanding of gravity was incorrect. He proposed that a boost in the gravity of ordinary matter is the cause of this acceleration. Milgrom’s theory has been worked on by a number of astronomers since and Dr. Zhao and Dr. Famaey have proposed a new formulation of his work that overcomes many of the problems previous versions have faced. They have created a formula that allows gravity to change continuously over various distance scales and, most importantly, fits the data for observations of galaxies. To fit galaxy data equally well in the rival Dark Matter paradigm would be as challenging as balancing a ball on a needle, which motivated the two astronomers to look at an alternative gravity idea. I find it rather hard to believe that Einstein had all the answers with turn of the century data. Theory evolves, adapts and conforms to new solid information...and this is no different. And yet, the theory really isn't proposing anything new. The idea of dark matter to explain the motions of galaxies has been around for years. I think that "Dark Matter" is just a place holder until the phenomenom can be better defined with actual properties...and perhaps a solid explanation on the mysterious forces at work.